I guess I was afraid it wouldn’t live up to my sci-fi standards (yes, not only a nerd but an elitist nerd…sad but true). This book is so much more than the sum of it’s parts: sci-fi and mystery, YA and multi-generational, adventure and love story. Pardon the pun, but this book touches on some pretty universal themes: isolation and community, the effect of absolute power and it’s terrible responsibility, the strenths and the weaknesses of individuals and group thinking communities. And beyond all that, it’s just a damn good read! I loved the way Beth Revis divided up the society upon the good ship Godspeed. At the base of this power pyramid are the Feeders: the dull, plodding, sheep-like folks who are the workers of the ship, doing the growing and working and repopulating on the ship, but living almost completely non-cerebrally. Above them are the Shippers, smart, aware but almost too clinical to be considered people in the fullest sense of the word, more like cyborgs, rigidly following orders, doing what they must to keep the Ship up and running. Finally, the Keepers: Eldest and Elder, the ruling class, unrestrained in their control but responsible for every living soul on the ship, a responsibility they both take very seriously. But, as in any society, not all people fit in. And for those who don’t there is the hospital ward. Much like a psych ward but mostly for artists, here is Doc’s domain, his place to care for the Feeders but watch over those souls who just can’t get with the Feeder or the Shipper program, and must be isolated so that their “illness” doesn’t infect others. It was a great pleasure to see how Amy, a girl from Sol Earth, born centuries before, reacted to this Brave New World on Godspeed. Finding it both strange and a little scary, I loved watching how her mere existence threw the whole balance of Godspeed out of whack, and what those who had the power to change things would do when the balance was shifted. But ultimately, I must simply say that I agree with what everyone else has already said, since I’m a year late to this party: this is a well-written tale, full of amazingly strong and diverse characters where heros and villians are not always what they seem. And it’s so complusively addictive that you’ll be up all night reading it in enormous gulps. I know I was! If you haven’t had the pleasure of spending some time with the inhabitants of Godspeed you’re doing yourself a disservice. This book is not to be missed! Lauren Ambrose and Carlos Santos did an AMAZING job of bringing Amy and Elder to life. Their voices drew me in, warm and vibrant, and held me entranced the whole book long. Do yourself a favor and treat yourself to the audiobook version of this story. It’s a fantastic audiobook! One of the things I love about blogging with my fellow Bookworms is how much we share in common. And our love for this book is no exception. 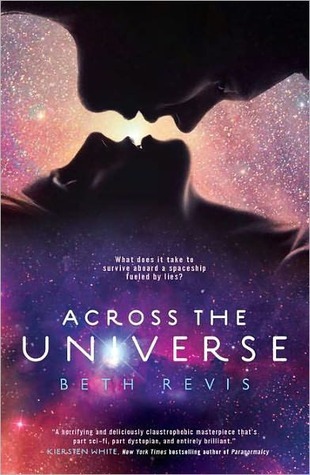 You should definitely stop by these posts to catch the other girls’ take on Across The Universe: Kristen’s Mini Review, Cutie’s Sci-Fi Double Feature, Heather’s 5 Star Review and Danny’s Goodreads Lovin’! And stay tuned because the sequel, A Million Suns, released earlier this month and Heather and I will be reviewing it in a couple of weeks!! "Waiting on" Wednesday – Oooh…the intrigue! I definitely need to read this one – I have both this one, and the sequel but for some reason I still haven't read them. The society on Godspeed sounds super interesting. I have this book and I haven't read it yet! I just haven't had time, but after reading your review I'm going to have to make time for it. I'm a big giant sci fi nerd but the recent crop of "YA on a space ship" was getting old to me. Thanks for the review! Yay for meeting elitist nerd standards! B) I have no idea why I've been so resistant to reading this book, but I have. It wasn't until I read and enjoyed Glow that I decided I wanted to read Across the Universe. If all of you ladies enjoyed it, then I really need to get moving on reading it already! Wow, I'm sort of jealous that you liked it! I just didn't get into it when I read it. *sigh* I'll read AMS, anyway. Just way too curious! I'd love to hear what you think about it when you finally get the chance to read it! I've read a lot of amazing reviews on this book lately so I'm gettinmore and more curious about it !! I NEED Across the Universe !! 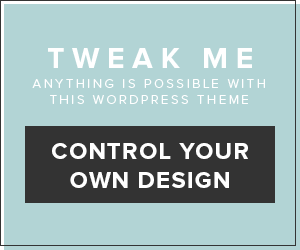 Pushy- You so nailed this one! You're review was one of the best I've ever read of ATU and it's been an entire year since the book was released. (That includes mine). You broke it down so well and are so write about the Feeders and the people that don't fit in, in society. I'm so glad you loved it. Now, you have to read A Million Suns! My recent post Where Are You?